Nearly 50 years after his death, the family and friends of the legendary Jimi Hendrix remain committed to keeping his memory alive. The Strokes’ Julian Casablancas caused a minor stir recently when he claimed – more than once – that Jimi Hendrix “didn’t have hits” during his lifetime. Of course, Casablancas was just plain wrong. Hendrix was wildly popular during his lifetime, with three top ten hits in the U.K. between 1966 and 1968 before reaching the top of the U.S. album charts with his masterpiece, the double-LP Electric Ladyland, in 1968. In August of 1969, he headlined Woodstock. But Casablancas was right about one thing: Hendrix’s legend has only grown since his untimely death in 1970. I’ve written about Hendrix on several occasions, and it’s always astonishing the reaction, both from first generation fans and from those who weren’t even alive when he was releasing new music in the 60s, or during the period from the mid-1970s through the mid-90s when Hendrix’s work was being pilfered by producer Alan Douglas for a quick buck. What’s surprising about the posthumous Hendrix catalogue, especially given that long, rocky period, is the way it’s only burnished his legend. In contrast, similar offerings from artists as diverse as Queen, Jeff Buckley and 2Pac have been met with derision. Of course, there’s a lot of risk involved when releasing the music of a dead musician, especially a long-gone, iconic and beloved artist like Hendrix. If not done by the right people with the right intentions, it can go terribly, ghoulishly wrong — as it did with The Notorious B.I.G.s "Duets: The Final Chapter." But Hendrix’s music and legend has endured — and indeed thrived — because his family and friends have struck a careful and unusual balance between art and commerce. There’s a lot of risk involved when releasing the music of a dead musician. If not done by the right people with the right intentions, it can go terribly, ghoulishly wrong. By “this,” Janie Hendrix wasn’t talking about the album — the third in a trilogy that began in 2010 with "Valleys of Neptune," followed by 2013’s "People, Hell and Angels." Rather, she was referring to the burnishing of her late-brother’s legacy, which began in earnest by the Hendrix family, along with Kramer and McDermott, after wresting control of the vast collection of studio and live master tapes that Hendrix left behind from Alan Douglas. Douglas had spent 20 years, beginning in the mid-1970s, creating “new” Hendrix albums by cutting and pasting performances, sometimes seemingly at random. At times he even brought in contemporary musicians to play with and over Hendrix in an effort make new songs and performances, in the process putting his frequently misguided stamp on Hendrix’s legacy. His efforts culminated with the ghastly "Voodoo Soup" in 1995. That album also kicked off a messy legal battle, with Al Hendrix, Jimi’s dad, finally gaining control over his son’s music. Putting their stake in the ground early, Kramer and McDermott set out to assemble the album Hendrix was working on at the time of his death. Released in 1997, “First Rays of the New Rising Sun” was a triumph, and proved there was still a market for high-quality Hendrix releases. But it wasn’t an easy process. “It was basically the core stuff that was missing from the library,” Kramer explains. After an exhaustive search, the Hendrix estate had filled in most of those gaps. And because he was there at every session, and had done many of the mixes with Hendrix himself, Kramer found assembling “First Rays” relatively easy. The question, then, was what to do next. The answer was to go back to the beginning, re-mastering each of Hendrix’s core albums for the digital age, plus using modern technology to update beloved posthumous releases like Hendrix’s Woodstock and Monterey Pop Festival concerts, as well as his BBC radio appearances. Meanwhile, the team tested the waters with thematic, career-spanning box sets like the “Jimi Hendrix Experience” “purple” box, focusing on the years that made him a household name, and “West Coast Seattle Boy,” a “cradle to grave” overview, featuring many of the nuggets Kramer and McDermott came across during the months they’d spend each year combing through the vast collection of recordings Hendrix left behind. By 2010, after nearly 15 years tidying up and reimagining Hendrix’s catalog, Kramer and McDermott realized they had loads of high-quality, unreleased studio recordings — in many cases, music that had gone unheard even by bootleg aficionados. The solution was the trilogy of albums that’s just been completed. Built thematically around the times and places where the music was recorded — not to mention the personnel Hendrix was working with — Kramer and McDermott say their main goal was to create albums worthy of Hendrix’s legendary status. 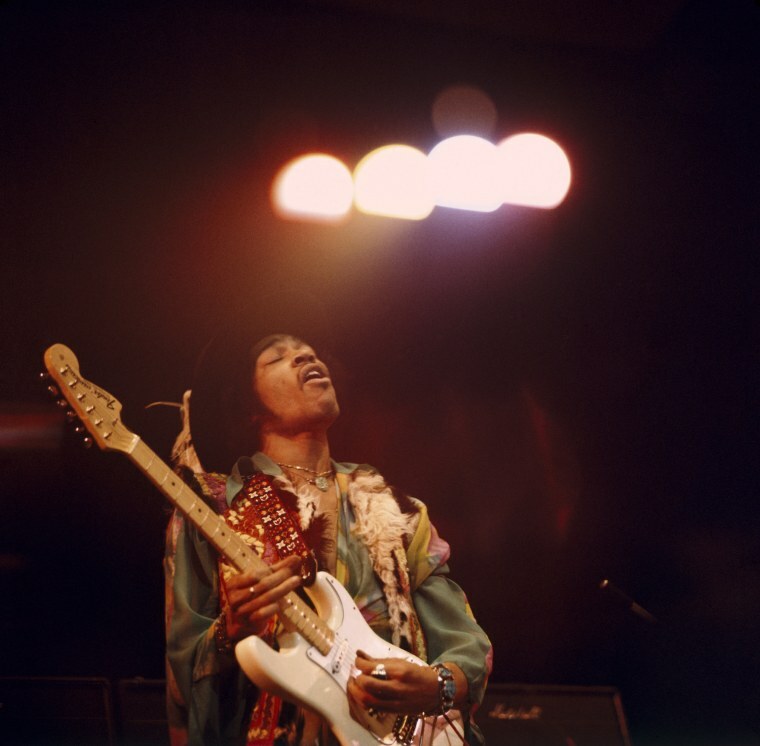 So while "Valleys of Neptune" comes from loose, working sessions with the Jimi Hendrix Experience, "People, Hell and Angels" and "Both Sides of the Sky" are made up of sessions from Electric Ladyland’s expected follow-up, and feature a more eclectic line-up of Hendrix’s musician friends, including, most notably, Stephen Stills, Lonnie Youngblood and Johnny Winter. Each one is a master class not just in the guitar theatrics Hendrix is known for, but in collaboration, too. Ultimately, though, Kramer says it’s been the support of the Hendrix family — which has worked tirelessly to strike a balance between keeping Hendrix’s name current and turning down offers that don't further Hendrix’s artistic vision — that has helped make the work he and McDermott have done so successful. The Hendrix family has worked tirelessly to strike a balance between keeping Hendrix’s name current, while turning down offers that don't further Hendrix’s artistic vision. For the man who worked so closely with Hendrix all those years ago, being able to help continue building on the foundation of a man many believe to be the greatest guitarist of all time is a labor of love. He takes it as seriously as if Hendrix were still sitting behind the mixing board with him, like in the old days. Jeff Slate is a New York City-based songwriter and journalist. His writing can be found at sites like Esquire, Rolling Stone and Quartz, among others. He tweets at @jeffslate. Jeff Slate is a New York City-based songwriter and journalist. His writing can be found at The New Yorker, Esquire, Wall Street Journal and Rolling Stone, among others. He tweets at @jeffslate.